When looking for a new telephone system for your business, it can become very confusing. Can you differentiate your traditional telephone system from an IP phone system or cloud phone system? Midshire have a Samsung accredited sales and support team all the way through to our engineering division, so you can be confident we will identify the best telephone system to suit your business needs. At the forefront of telephone system product technology is VOIP (Voice over Internet Protocol). 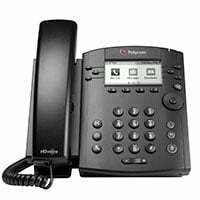 Click here to view our VOIP handsets that are available today. 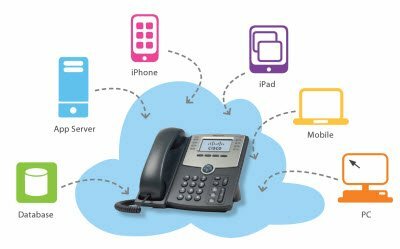 VoIP is a method of delivering voice and data traffic over the internet – often referred to as IP Telephony or Internet Telephony. A VoIP telephone system can be operated over traditional analogue, digital (ISDN) lines, SIP trunks or broadband connections. VoIP operates exactly like a traditional, digital or analogue telephone line, however the benefits of adopting a VoIP solution far outweigh its older analogue and digital predecessors. Recently, with the emergence of increasingly faster internet connectivity, more organisations have begun to explore the major costs savings when switching from traditional telephone lines to a VOIP phone system. This increased popularity with VoIP is now seen as a genuine cost-saving alternative to making phone calls on a traditional landline. If you are looking for cheap line rental as well as calls, a Midshire VoIP solution is what your business should be looking for. VoIP can make business communications a more affordable solution for small business organisations all the way up to large multi office corporations. At Midshire we have a large choice of IP handsets available. If you are looking for a low cost handset or the latest state of the art wireless IP handset, you can be assured we can tailor the solution to your business. The handsets we offer are guaranteed to improve your business operations, whether you work from home, on the move, in an office or call centre.